Women have their own unique qualities which they bring to leadership and through their global leadership; they lend those qualities to the world as a whole. The fact is that women lead differently than men. Not better mind you, just different. Women are more empathic and consider an element of empathy when making political or business decisions which suggests a different thought process in ideology than a more male perspective which is to just deal with a decision solely based on logic and without the empathic element. The male perspective has its quality and value too. However, there is a time for both and when the situation requires an empathetic or emotional quotient; women have the unique ability to quickly remedy the issue. Coming into the 21st century globally we are realizing that women are good for business. Beyond having empathy they also tend to be firm in their decision making processes and good with people. There are many positive traits women bring to business and leadership but the most commonly mentioned are that women are good listeners, empathic, collaborative, multitaskers, good with people, stand firm in decisions, resilient, creative, and are overall strong leaders. 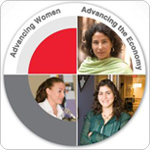 Women leadership in the business and corporate world promotes stability and economic profit. Women who increase their own earning power also empower their families as those families have more to spend, and thus encourage consumer growth which is good for business. When women become entrepreneurs and gain access to financial credit businesses flourish and the economy thrives. Equally involving women in the political leadership process is just as crucial. A couple of months ago President Obama announced to leaders of the General Assembly at the United Nations that “no country can realize its potential if half its population cannot reach theirs” and called on all nations to announce their efforts to break down the barriers to girls and women of economic and political advancement. What President Obama said is true that if half of the population of a country cannot reach their full potential then the entire country cannot obtain the same. Closing the gender gap is an important issue that seems to make progress in some areas of the world some years and falls behind in others due to lack of progression. Stymied growth in women’s leadership both in business and in politics is mainly due to cultural, economic and religious reasons. Many cultures around the world have historically repressed women and some even still treat them as commodities to be bought and sold. In other cultures there is still a belief that a family can only profit economically if the male member of the household is the one who works and receives an education which cuts the female members out of tremendous opportunity for education and advancement and keeps them living under control and repression. There are many religions which still believe women are inferior to men or are to be seen and not heard. These beliefs are what continue to contain a society or country under a dictatorship and make freedom difficult if not impossible. Even in the United States there are still only 3% of women in leadership positions in corporate business in top Fortune 500 Chief Executive positions. So why are there still very few women in the boardroom and in top earning positions in America? The answer is simply because there is still a tremendous gender bias and gender gap in our own country. The good news is there is action being taken in our government and in our society. On December 19, 2011 President Obama launched the first ever U.S. National Action Plan on Women, Peace and Security to advance women’s participation in peace keeping. The U.S. will invest in early warning systems on gender analysis and increases in violence and discrimination, as well as support grassroots women’s organizations to stop violence and support peace. There is also a call for the United States ratification of the Convention on the Elimination of All Forms of Discrimination Against Women, which is a treaty reflecting woman’s rights as human rights, and is sometimes referred to as the International Bill of Rights for Women. If this treaty were ratified by the U.S. many other countries would not be able to use the excuse that since the U.S. (as a world leader) has not ratified the treaty women’s rights must not have any value. This convention sends a strong message of protection against discrimination of women all around the world. In the private sector many businesses and corporations are taking a lead in promoting women’s business leadership. The Women’s Food Service Forum awards an annual Jackie Trujillo Outstanding SOAR award which is presented by Yum! Brands and stands for Standard-Setters for Opportunity, Advancement and Recognition of women. The award annually honors a food service company that is dedicated to attracting and promoting women to high positions in the company and has past recipients such as Darden, Kraft Foods, Sodexo, Coca-Cola, and PepsiCo. There are other private companies such as Johnson & Johnson, UBS, and Ernest and Young, and Deloitte which are also committed to women’s leadership development and promotion within their own companies. All of these activities are a step in the right direction but we still have a ways to go before we can close the gender gap. 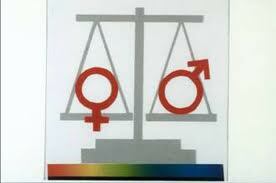 It doesn’t matter whether you are male or female, you can support closing the gender gap and promote women’s rights. How do you think you could support women in leadership? Finding an answer to that question may just help improve our economy and make our world more peaceful.